a bike that can only run on special roads. inverted caternaries, to be exact(more info). 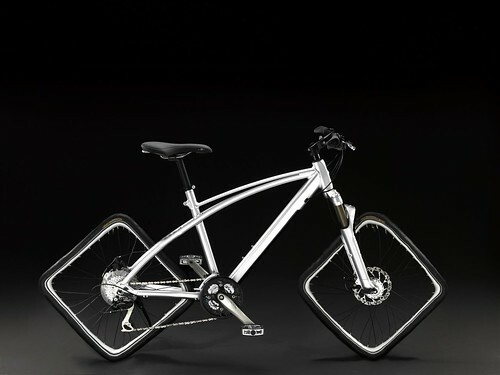 See, a bike with square wheels(media) can only be run on a special caternary road(media player).. And as far as I know, there aren't many caternary highways. Original image courtesy of richardmasoner.